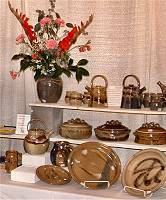 The twentyfirst annual Clay Fest will be held the weekend of October 11th - 13th, 2019 at the Lane County Fair Grounds. 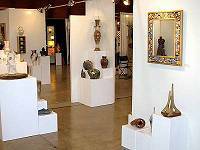 The show and sale will include work by nearly 70 local and regional clay artists, demonstrations, and a supervised Kids Clay area for the young and young at heart. 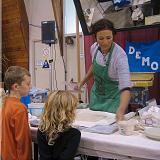 Clay Fest draws artists from all over Oregon. 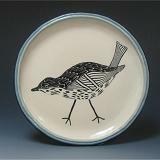 Oregon is nationally known for the for the quality of ceramic art produced here. This is a great opportunity buy unique handmade pieces directly from the artists who make the work. Plus, all the money goes back into the community. 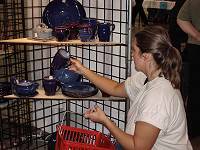 Clay Fest is planned and run by the artists who participate in the show. A small percentage of the proceeds is used to fund the show, the rest goes directly to the artists and to charity. The show is a fund raiser for Local Clay and its Clay in Education program, which provides funding for ceramic activities in local schools. It's amazing how clay - the common medium to all - can be made to take on so many diverse forms. There is truly something for everyone's taste here - some quite unique and decorative; others more functional and useful in a hundred different ways. Jewelry, tiles, plates, cups and bowls in great variety, whimsical little animal forms, wall hangings, pots for plants, vases for flowers, and sculptures to stand out in your home, the assortment covers the entire gamut from primitive to exotic. 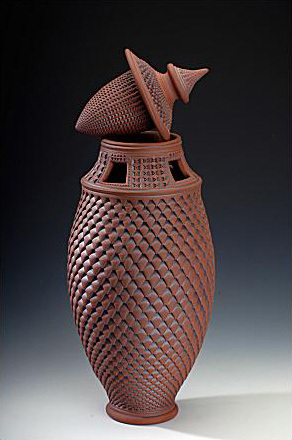 The imaginations of the participating ceramic artists know no limit. Always a big hit at Clay Fest is the supervised Kids Clay area where kids can have fun creating clay pieces and gaining insights into the world of clay from the artists at the show. Another crowd pleaser is the demonstration area where some of the participating artists show how they make their work. In addition to the individual artists' booths, the Gallery features works by participating artists, highlighting their best pieces. 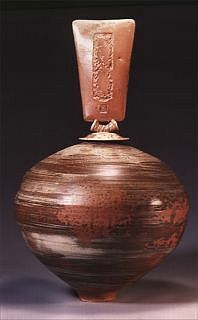 Gallery awards are given out for first, second, and third place, which are voted on by the potters in the show. Earlybird shoppers are always the luckiest, as a large percentage of last year's sales occurred in the first hours of Saturday. So come early to see the many wonderful possibilities the clay artists have to offer. To make the purchase of your treasures simple and easy, a centralized check-out area accepts cash, checks, Visa and MasterCard. The Lane County Fairgrounds provides abundant free parking and admission to the show and sale is always free. We receive support from a generous group of sponsors, including Skutt Ceramic Products, Georgies Ceramic and Clay Company, Giffin Grip, Ceramics Monthly and Clay Times magazines, and others. We sincerely thank them for their support.